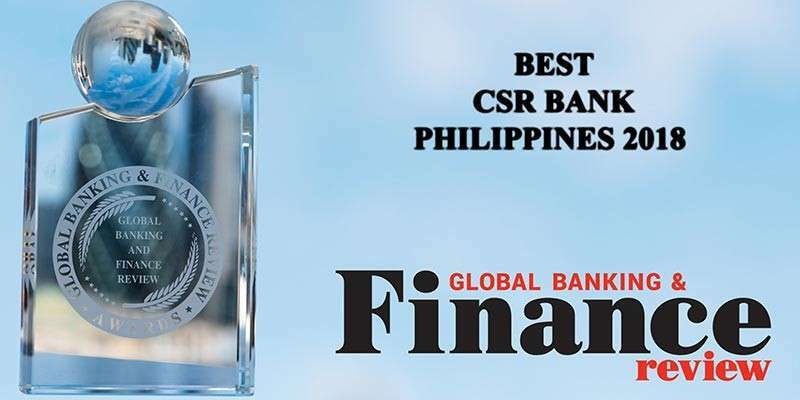 CITY Savings Bank, Inc. (CitySavings) won its first international award after it was named as the Best Corporate Social Responsibility (CSR) Bank in the Philippines for 2018. The award was given by Global Banking and Finance (GBAF) Review, a leading online and print magazine based in London, United Kingdom. 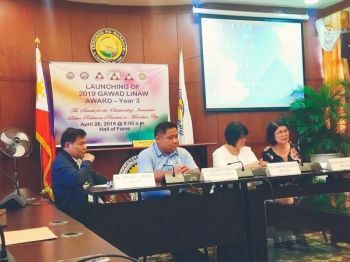 CitySavings has a number of notable CSR initiatives in partnership with the Department of Education (DepEd) and several key external partners. The awarding body has recognized the bank’s CSR for its corporate governance, transparency, sustainable development, environmental policy and human value. “CitySavings was founded with the vision to ‘help people of moderate means.’ Over the years, this sentiment has not changed. This bank has demonstrated a strong commitment to improving the communities they serve. They are helping to improve the lives of educators, students and families through various CSR initiatives aimed at education, awareness and advocacy. We commend them for their dedication and these excellent initiatives that are contributing greatly to the community, “ said GBAF Review editor Wanda Rich. Under DepEd’s Adopt-a-School (ASP) program, CitySavings has actively implemented and supported Brigada Eskwela, other school improvement initiatives and the department’s Alternative Learning System (ALS) advocacy to spread literacy in underserved communities. The bank also partnered with the Ramon Aboitiz Foundation, Inc.–Kool Adventure Camp for Project Synergy, an adventure-based leadership training program for educators; Project Teach with Alchemy Education Solutions to implement a distance-based in-school teacher training; and Weather 101 and Tropical Cyclone 101 workshop with Weather Philippines Foundation to build the educators’ capability on disaster preparedness. CitySavings also conducts Project Peraparasyon, which aims to show in simple terms how to achieve financial wellness; and Project Pink to educate and raise awareness on prevention and early detection of breast cancer. “We have always been a bank who has given back to the communities we serve. This award is a testament to all the hard work that we have done to make our teachers’ lives a little bit better. I’m grateful for our team members’ passion to drive change for a better world as we share this milestone with our partners and key stakeholders,” said CitySavings president and chief executive officer Larry Ocampo. Established in 2011, the GBAF Awards reflect the innovation, achievement, strategy, progressive and inspirational changes taking place within the global financial community. The awards were created to recognize companies of all sizes which are prominent in particular areas of expertise and excellence within the financial world. 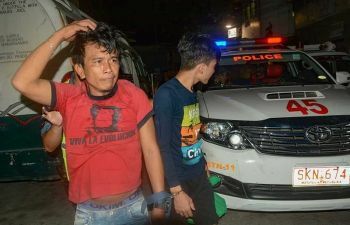 CitySavings is the thrift bank subsidiary of Union Bank of the Philippines (UnionBank) and a member of the Aboitiz Group. It is one of the largest thrift banks in the country and provides a range of mass market finance products and services, such as salary loans to public and private school teachers, pension loans to GSIS and SSS pensioners, OFW loans, and traditional deposit products. The bank now has 115 branches nationwide.